Since its introduction nearly two decades ago, telematics has become increasingly accepted by drivers and managers alike as a vital component of modern fleet management. Today’s advanced telematics systems come packed with features that make drivers’ lives measurably easier. Integrated accurate navigation which avoids traffic laden routes? Tick. Quick and easy automatic mileage claims? Definitely. Connected functionality where your car automatically pays for on-street parking? Already here. But while nearly a third (29%) of commercially-owned fleet vehicles in the UK use telematics, many fleet managers are still hesitant to roll out the technology to ‘grey fleet’ employees, using private vehicles for company use. Winning over your drivers using a company vehicle with telematics pre-installed has always been an easier task when the business is paying for the maintenance and insurance bill. But convincing drivers who use their own vehicles is understandably considerably more challenging. They may not be aware of the hidden costs and associated dangers of not driving responsibly and the positive impact telematics can have on this and may regard their own cars as a last bastion of privacy. 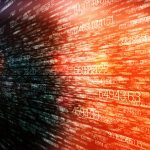 With high profile data misuse scandals from social behemoths like Facebook and the recent introduction of GDPR continuing to hit the headlines, the public focus on data privacy has indeed never been sharper. Yet telematics providers have recently pushed themselves ahead of the curve on data privacy, allowing for a clear demarcation between business and private journeys, and ensuring that businesses can only access legitimate, business-related trip data. Once the main privacy barrier has been broken down, there are also clear benefits to the technology for own-vehicle drivers. Here we look at the top 3 reasons why it pays to go grey with telematics. Telematics can make fuel expense claims much quicker and easier for grey fleet drivers. Instead of having to make a manual note of all private and work journeys, telematics systems can automate mileage capture to provide reliable evidence of exactly how many miles were travelled and when. Drivers can simply indicate whether a journey is for private or business purposes via their in-car navigation units, or smart phones. It is also worth noting that when drivers switch to private trip mode, they can also disable all vehicle tracking to keep private journeys private. As employees’ mileage claims are clearly validated, electronic logbooks satisfy HMRC about company vehicle usage, helping to avoid any extra benefit in kind taxes or National Insurance charges for the employee. With WEBFLEET Logbook’s easy-to-use app, drivers can also add important information such as the purpose of the journey and relevant business contacts. Not braking or accelerating sharply, not leaving the engine running while we wait, not driving like a speed demon… we all know how we should act to drive responsibly and cut fuel costs. But an in-cab reminder – like TomTom’s OptiDrive 360 software – gives employees direct feedback and predictive driving advice and then reports back to them so they can compare and contrast with previous journeys and colleagues. (There has been much talk of gamification and the value of adding a competitive element to challenge team members to take the mantle of greenest driver). Such a proactive approach can focus the mind and produce real results in the wallet on personal journeys as well as work ones. Companies are just as responsible for the duty of care of employees driving their own vehicles on business as they are those in company cars. Telematics data can play a big role in the creation of risk profiles for drivers, using highly accurate driving performance data which highlights risk points like speeding, accelerating or cornering too harshly. Although no-one wants a nanny state, the fact is that proactively addressing poor behaviour behind the wheel could save lives – both of the driver and potential victim. Particularly for drivers of older models without built in engine diagnostics, telematics interfaces can also act as a moderniser, giving maintenance alerts and integrating with driver apps to send reminders to conduct regular vehicle safety checks, including tyre tread and pressures, brakes, lights and indicators, oil and windscreen wipers. It can also help to get breakdown services to a stranded vehicle more quickly because employees can be accurately pinpointed. Telematics technology can also help companies monitor hours spent driving for business in grey fleet vehicles. Again, this helps to improve driver safety by allowing managers to enforce policies of regular breaks to help prevent fatigue-related accidents. 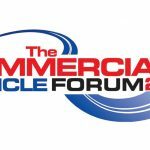 Commercial Vehicle Forum 2013: What happened on the day? The Commercial Vehicle Forum 2013 included a talk from new Under Secretary for Transport, Robert Goodwill, and a lively debate from industry experts and commentators. Find out more about what was said at this week’s event in our latest post. 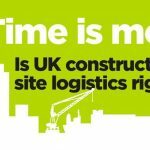 Are construction logistics standards good enough?